Canadian Folk Songs (Old and New). by Gibbon, J. Murray. 1929. 105 pages. Beige pictorial dust jacket over cloth boards. Good clean pages with bright copy and firm binding. Light foxing and tanning to endpapers and page edges. Boards are mildly rub worn, with some light shelf wear to spine, edges and corners, corners are bumped. Slight crushing to spine ends. Tanning to spine and edges. Light wear to dust jacket with tears, nicks and creases to spine, edge and corners. With some tanning and paint to spine and edges. 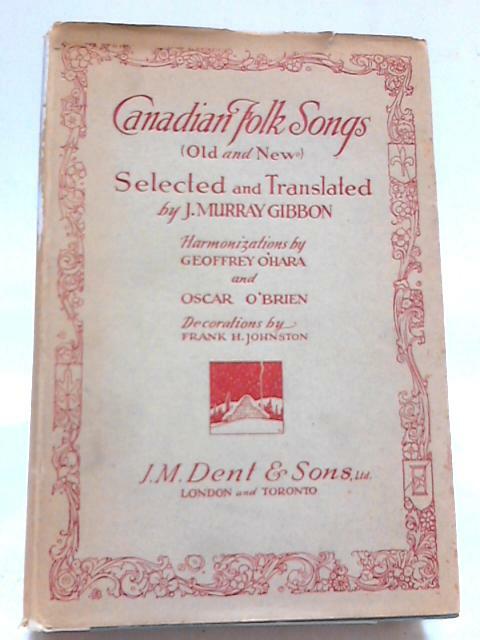 Canadian Folk Songs (Old and New).